Sign up for a PayPal account and pay on Paymatrix to get the cashback. Log in to your account, go to Payment Methods and find your voucher under Saved Offers. 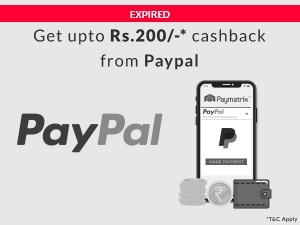 You can use this cashback as a discount the next time you pay at any Indian merchants accepting PayPal. Your cashback is instantly available to be used with your PayPal account. However, in certain cases, there might be some delay in crediting the offer discount due to technical difficulties. The offer is currently available for payments made in INR alone. Cashback incentives can only be redeemed within 60 days of the date of award. Also, don’t forget to check the expiry date of the cashback in the award email. The offer is applicable for exclusive use and cannot be transferred. The offer is not applicable for Paypal accounts registered outside India. PayPal cashback is automatically applied as a discount with the purchase without you having to manually apply it. There is no cash out of the cashback given. The offer can be availed on all the services/offerings available on Paymatrix. Paypal and Paymatrix reserve the right to suspend the user accounts in case of any fraudulent transactions. 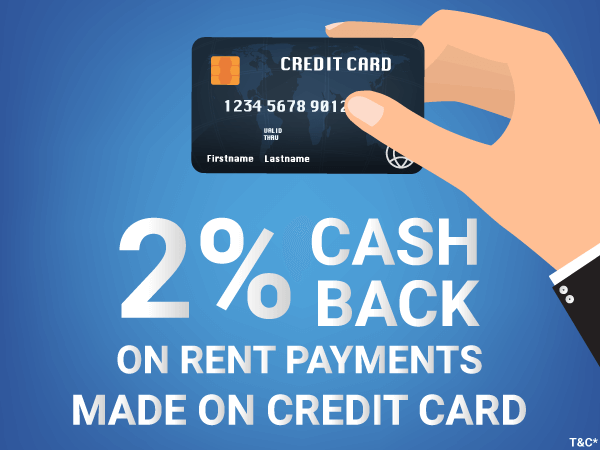 Get 2% Cashback* on Monthly Rent payments on Paymatrix. 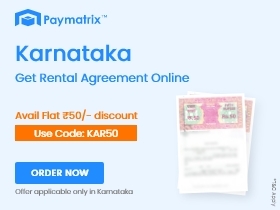 The Offer is valid only on Rent payments made on Paymatrix. Under this offer, the user is eligible for 2% cashback in form of rewards up to Max of Rs.50/-* on Rent payments every month. Rewards up to Rs.50/-* is applicable only on the FIRST Rent payment in each month. The Offer is valid only for payments made through Credit card on Paymatrix. The Offer is NOT valid on transactions made through any other payment option including Credit card option on other payment gateways. Cashback shall be credited to the user's Paymatrix account in the form of Paymatrix credits immediately after the transaction. These credits can be used by the user to pay his subsequent Rent payments or avail any other service listed on our website. User shall not be able to encash the credits into his own bank account. Cashback shall be given only for successful transactions and will not be applicable to pending or failed transactions. Paymatrix reserves the right to withdraw or alter this promotion anytime as per its discretion without any notice. 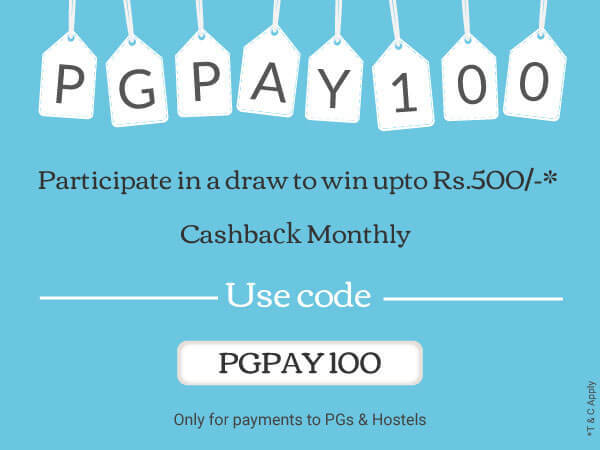 Use code PGPAY100 to participate in a draw to win upto Rs.500/-* Cashback Monthly. T&C Apply. PGPAY100 promo code has to be applied on the checkout page to participate in the contest. Promo code can be applied any number of times by the user. Valid on minimum transaction amount of Rs 4000. 5 Lucky winners will be announced on 15th of every month, 2018 and will be communicated via SMS/Email. Cashback will be credited to your Paymatrix account which can be redeemed on the next transaction. The said cashback/rewards are non-transferable. The user need to enter the promo code in the payment page to be eligible for lucky winner. We reserve the right to modify/end any or all offers at our discretion without any prior notice. We reserve the right to restrict the cashback to any user with suspicious behaviour or invalid credentials or invalid KYC details. Use code LUCKY12 to participate in the contest to win upto Rs.1200/-* Cashback Monthly. T&C Apply. 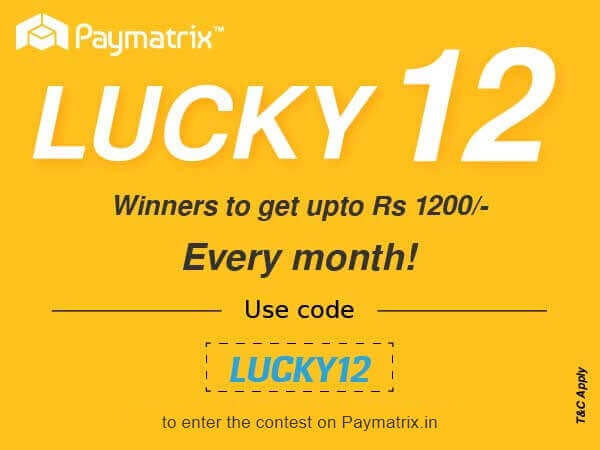 LUCKY12 promo code has to be applied to participate in the contest. 12 Lucky winners will be announced on 15th of that month, 2018 and will be communicated via SMS/Email. These coupon codes are valid only up to 31st December 2019 for Rent agreement/Leave and License Agreement orders in particular cities. A user is entitled to avail the coupon multiple times during the promotion period. Paymatrix is just a facilitator for users to get into Rent agreements, wherein our role /our vendor or partner's role is constrained to the documentation of terms , capturing biometrics , registering the agreement and delivering the copy to your doorstep. The platform in no way undertakes the legal validation or authentication of the Agreement. The onus of paying the right and requisite stamp duty stays with the user ordering and paying for the same. Rent Agreements, once ordered cannot be cancelled or reversed. Users, however, can place a request for any modification of the terms of the Agreement by writing to support@paymatrix.in within 24 hours of ordering the agreement. The above terms construe as an addendum to the Platform's general Terms and conditions. Paymatrix reserves the right to discontinue the promotion without any notice as per its discretion. Use code DEL50 to avail a discount of Rs.50/- on convenience fee for Rent Agreements. These coupon codes are valid only up to 31st December 2019 for Rent agreement orders in particular cities. Paymatrix is just a facilitator for users to get into Rent agreements, wherein our role is constrained to the documentation of terms and delivering the copy to your doorstep. Use code TEL50 to avail a discount of Rs.50/- on convenience fee for Rent Agreements. Use code KAR50 to avail a discount of Rs.50/- on convenience fee for Rent Agreements. 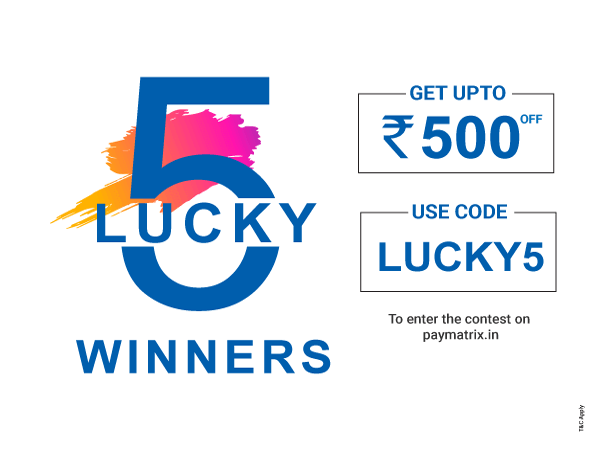 Use code LUCKY5 to participate in the contest to win upto Rs.500/-* Cashback Monthly. T&C Apply. Valid on successful rent/deposit payments from 11th to end of the month. LUCKY5 promo code has to be applied to participate in the contest. Valid on minimum transaction amount of Rs. 4000. 5 Lucky winners will be announced on 1st of the subsequent and will be communicated via SMS/Email. Cashback will be credited to your paymatrix account which can be redeemed on the next transaction and is non-transferable. 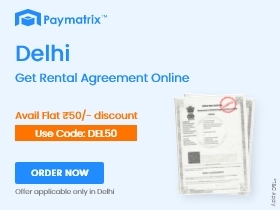 The Offer is valid only on rent and rent deposit payments made on Paymatrix. 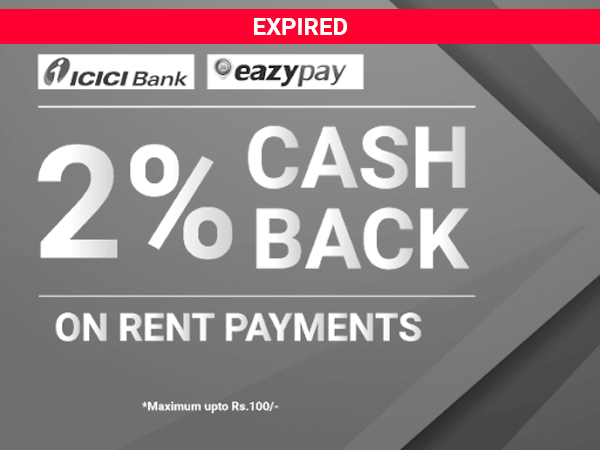 Under this offer, the user is eligible for 2% cashback up to Max of 100/-* on the Rent or Rental deposit payments. Discount up to Rs.100/-* is applicable only on the FIRST Rent or Deposit payment in each month. The Offer is valid only for payments made through Eazypay Payment gateway on Paymatrix. The Offer is NOT valid on transactions made through any other payment gateway on Paymatrix. 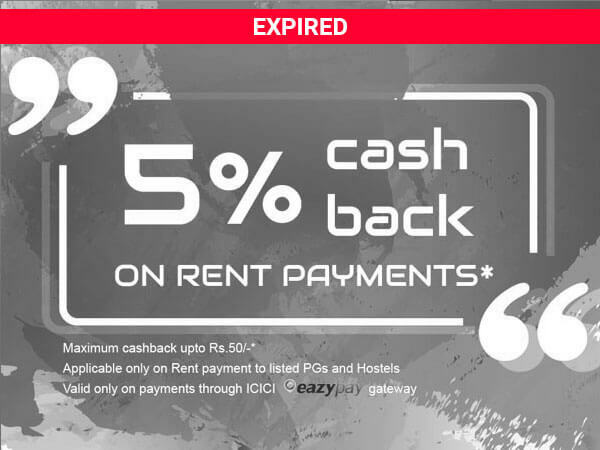 Under this offer, the user is eligible for 5% cashback up to Max of 50/-* on the Rent or Rental deposit payments. Discount up to Rs.50/-* is applicable only on the FIRST Rent or Deposit payment in each month. Wondering how to use PayUmoney points for Paymatrix ? Login to PayUMoney wallet https://www.payumoney.com/. In buyer dashboard, select 'Reward Catalog'. Choose 1000 Points and select button 'redeem points'. If you would like to redeem more points, repeat step 3. Kindly note, 10 PayUmoney points = 1 Rupee; So Yes, 1000 PayUmoney Points = 100 Rupees. What's more! 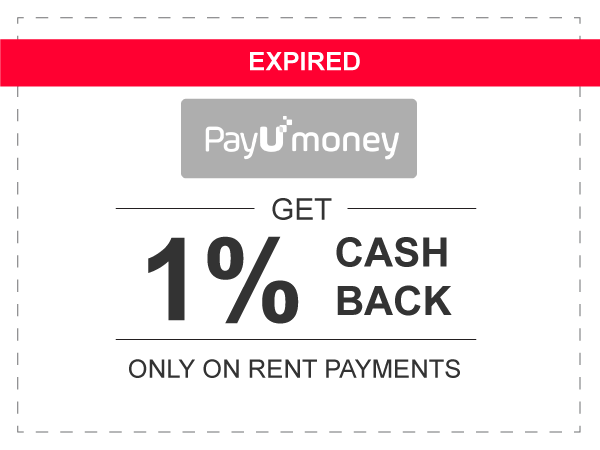 You will again earn PayUmoney rewards on every payments and redemptions. 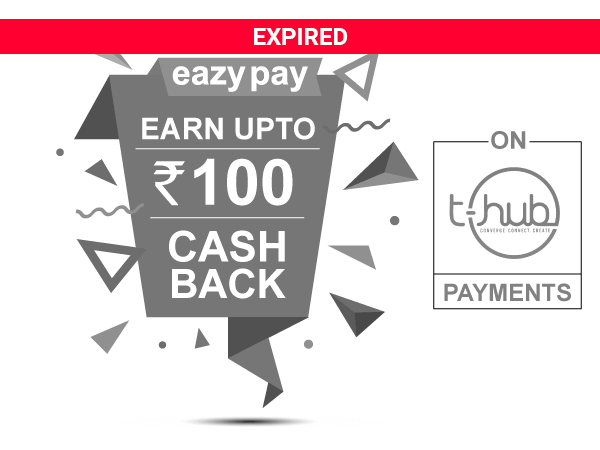 Under this offer, the user is eligible Upto Rs.100 Surprise cashback based on the Rent or Rental deposit amount paid to T-HUB. Minimum Rent or Rent deposit paid should be atleast Rs.5000 for the user to be eligible for the cashback. 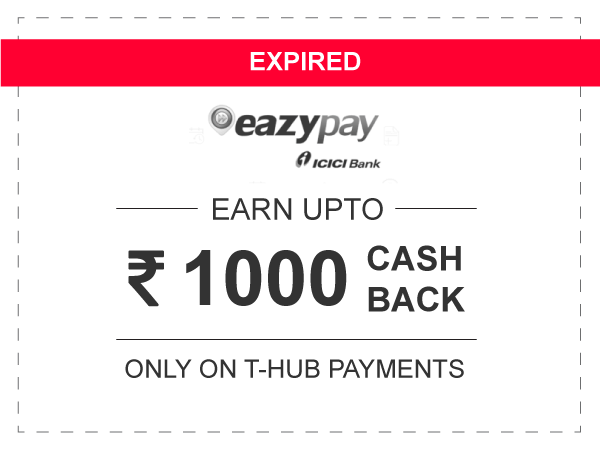 The Offer is valid only for payments to T-HUB through eazypay Payment gateway on Paymatrix. Cashback shall be given only for successful transactions and will not be applicable to failed transactions. 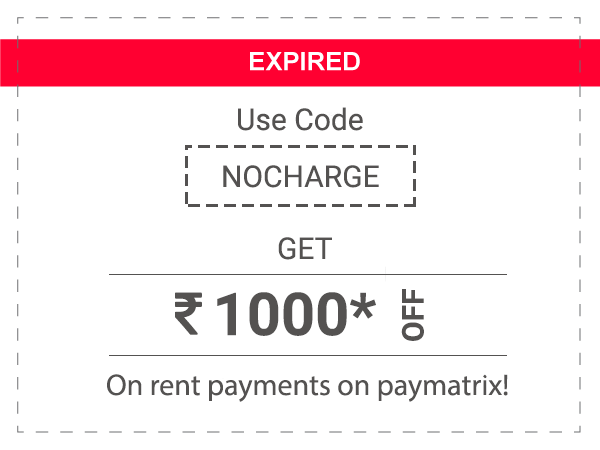 Get upto Rs 1000 off on convenience fees on your Property Rent payments on Paymatrix ! User should enter the code in the Offer/Referral code section in the payment page to earn instant discount on the convenience fees. In case of a failed transaction, users shall be entitled to use the code again on their subsequent transactions, provided the credit has not been utilized in the former transaction. The Promotion code and the corresponding discount is applicable only once per user. The Promotion code is only applicable on the first transaction. Promotion code is only applicable on Rent & Rental deposit payments. The offer is valid till 31st May 2017. Paymatrix reserves the right to withdraw or alter this promotion anytime as per its discretion. This offer cannot be clubbed with any other promotion/offer running on the website. 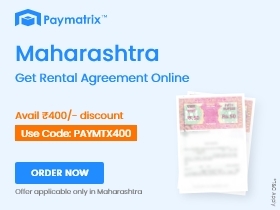 Get Rs.100 as instant discount on your Property Rent payments on Paymatrix ! User should enter PAYRENT100 in the Offer/Referral code section to earn instant discount on the payment. Users shall have the independence to use the promotion code on any one transaction of his choice. It need not to be the first transaction. You can now earn unlimited Paymatrix rewards and Amazon vouchers by inviting your friends to sign up and pay using your personal invite code on Paymatrix. The invite code can be found in the Refer and Earn page after logging into your user account. Rs. 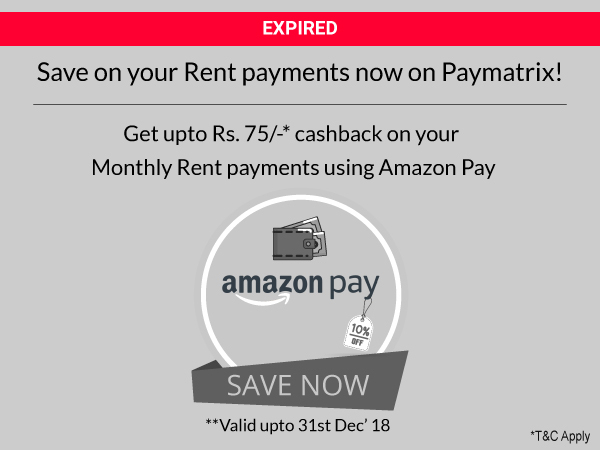 25/- as Amazon voucher and Rs.75/- as Paymatrix rewards for every friend signing up using your referral code and making his first transaction on Paymatrix. The invite code can be found in the Refer and Earn page after logging into your user account. Amazon vouchers and Paymatrix rewards are offered for every successful referral. 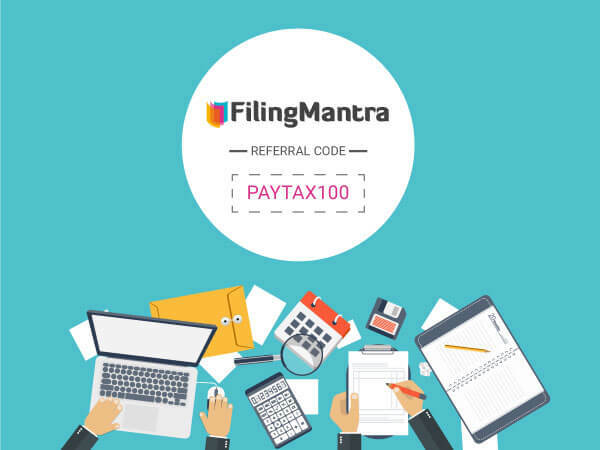 New Users using the referral code while signup shall earn an instant credit of Rs.100/- as Paymatrix rewards, while the person referring shall receive Rs.25/- as Amazon voucher and Rs.75/- as Paymatrix rewards within 24 hours for every successful referral. A User can earn unlimited Amazon vouchers and referral credits by simply referring more users and asking them to sign up and transact using his/her referral invite code. 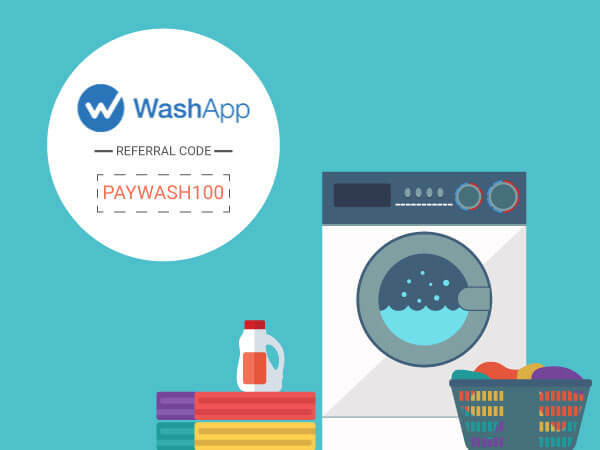 Referral code and the corresponding benefits are applicable only once per user. 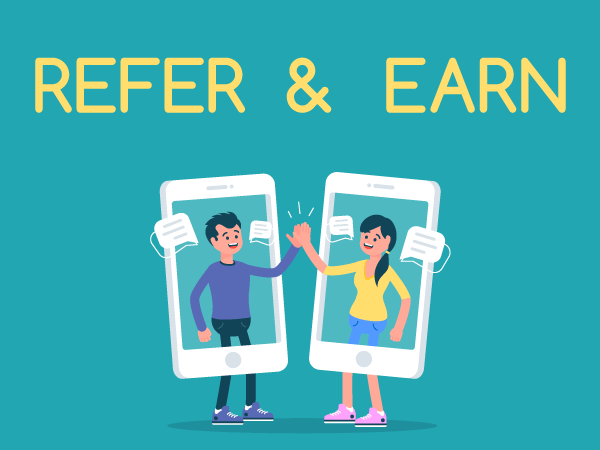 It means that a user at any point of time can take benefit of only one of the existing referral programs on the platform. Users shall have to enter the code mandatorily while signing up to avail the benefits of the program. Referral credits earned into Paymatrix account by the users can be used only for their subsequent payments on the website. They cannot be redeemed for cash nor can be transferred to other users. Paymatrix reserves the right to withdraw or alter this promotion or scheme, anytime as per its discretion. Under this offer, the user is eligible Upto Rs.1000 Surprise cashback based on the Rent or Rental deposit amount paid to T-HUB. 1% cashback will NOT be given if user is making transaction through Net banking or through cards that are not saved in PayUmoney. 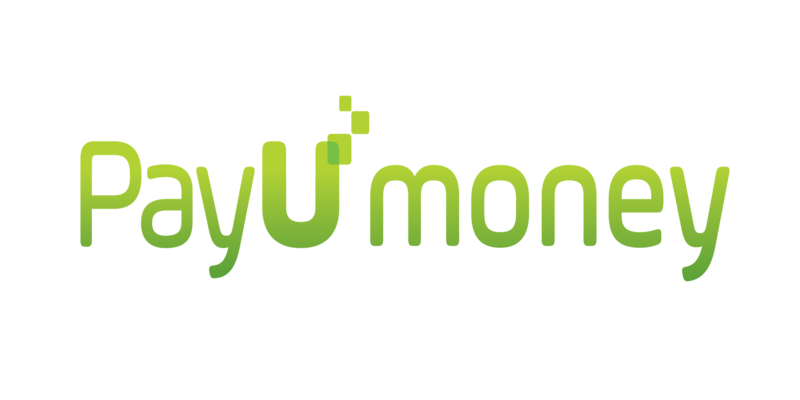 Cashback shall be credited to the user's PayU money wallet in form of PayU money points. Paymatrix can't be held liable for any discounts and promotions floated by PayU or any of its Payment partners. Users are requested to follow-up with PayU money in case of non-receipt of rewards or cashback. They can write to care@payumoney.com mentioning the transaction details and seek support on the same. This offer expired on 13th January 2017. Maximum cashback which can be availed is Rs.50. The offer is valid from 27th Sept till 30th Oct 2016. Cashback would be processed to Airtel money wallet within 48 business hours. The above offer is available on the desktop and mobile website as well as app. 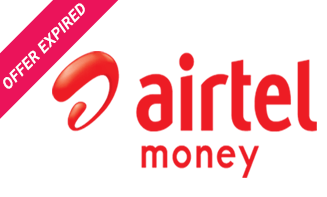 This offer is valid only for Airtel Payments Bank Limited (Airtel Money) customers. The offer can be availed only when payments are made using Airtel Money. 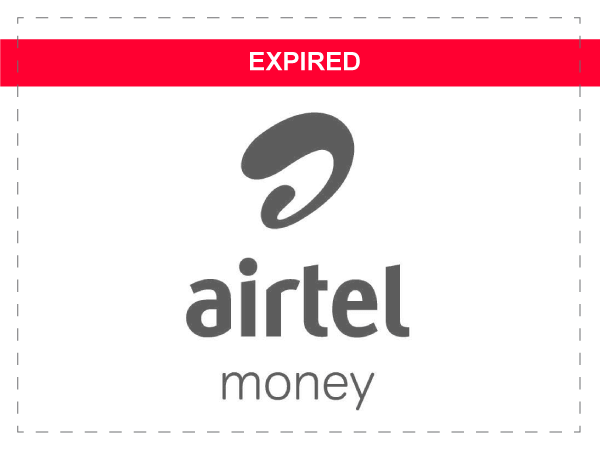 Airtel Money reserves the right to disqualify any Airtel Money wallet holder/s from the benefits of this offer, in case of any fraudulent activity/ suspicious transactions. Airtel Money reserves the right to modify/ change all or any of the terms applicable to this offer without assigning any reasons or without any prior intimation whatsoever. Airtel Money also reserves the right to discontinue this offer without assigning any reasons or without any prior intimation whatsoever. In case of any disputes, Airtel Money's decision will be final.